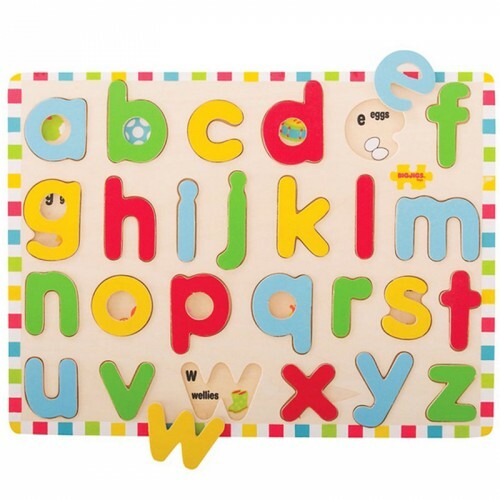 Learning the alphabet and sounding out words is fun with the Bigjigs Toys Inset Puzzle - Lowercase Alphabet. 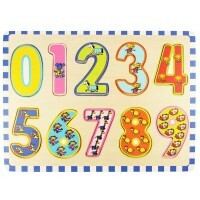 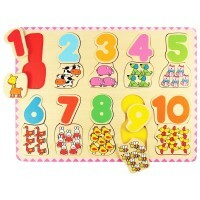 This Bigjigs' wooden lift-out puzzle makes it easy for children to learn about letters and words. 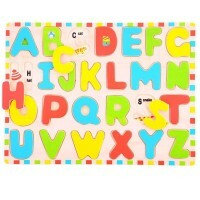 Lift the brightly colored lowercase letters out of the baseboard to discover a word and picture printed behind each one. 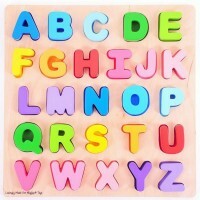 Children will quickly learn that D is for Dog, M is for Monkey, and so forth. 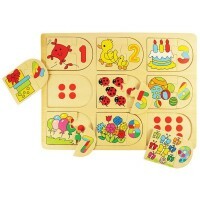 Each chunky wooden puzzle piece from this Educational Toys Planet puzzle is generously sized to make it easier for little hands to lift, grasp, examine and replace. 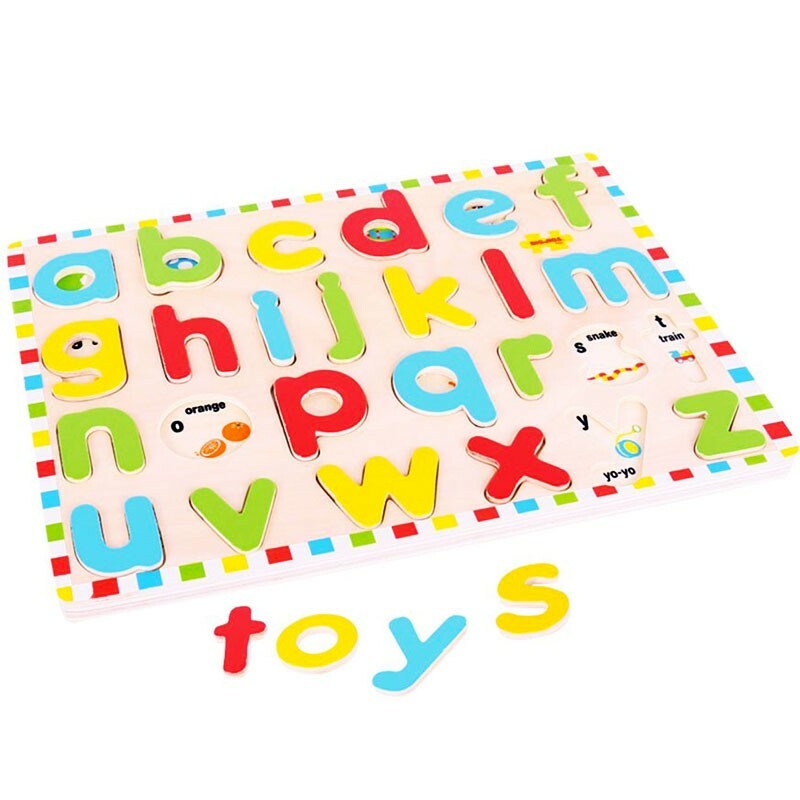 The wooden baseboards of Lowercase Alphabet Inset Wooden Puzzle is printed with images and colors to aid the learning process and add educational value. 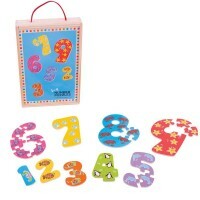 The 26 pc puzzle measures 8.25 x 11.8 inches. 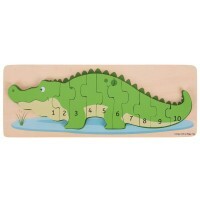 Silk-screened on wood; puzzle conforms to ASTM and CPSIA safety standards. 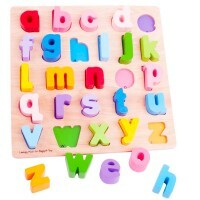 Dimensions of package 12" x 8.5" x 1"
Write your own review of Lowercase Alphabet Inset Wooden Puzzle.